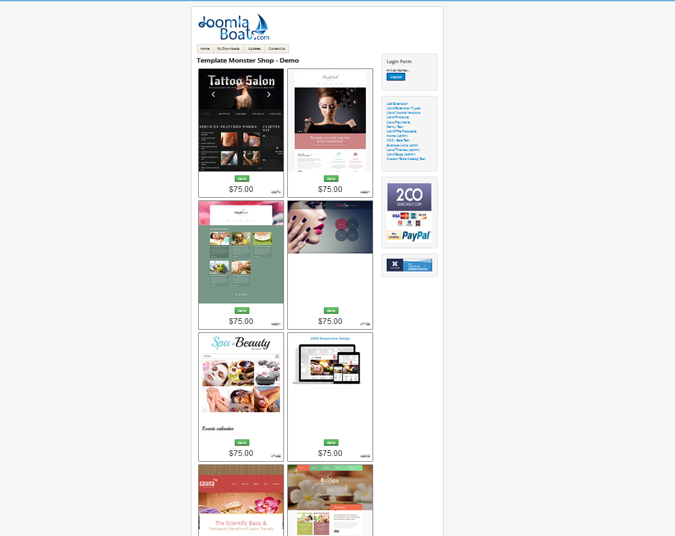 Template Shop extension for Joomla! 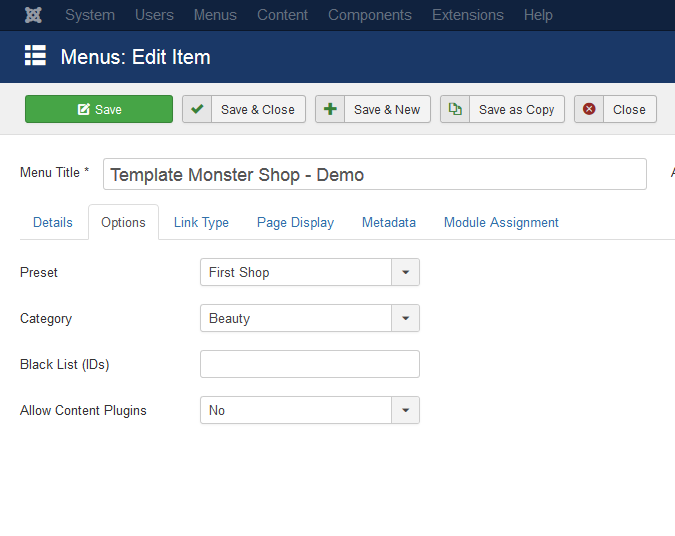 Template Shop is a Joomla Extension that uses Template Monster Affiliate Program API to show catalog of templates on your own website. Fully customize layouts. Live demo links. 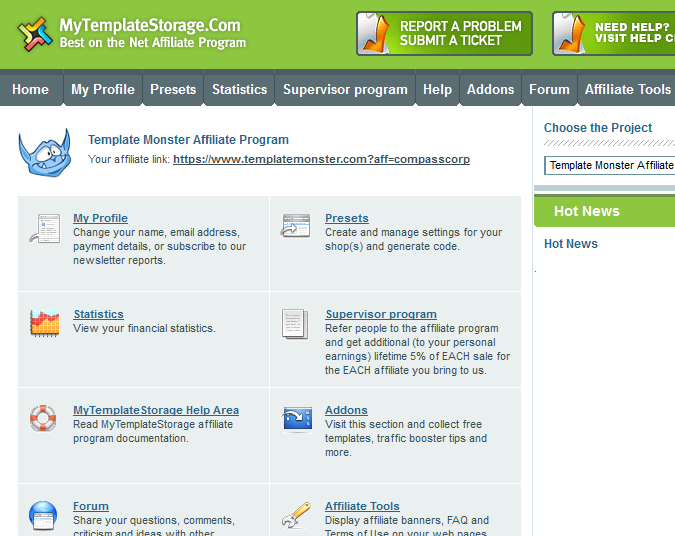 Register your Template Monster Affiliate Program Account. 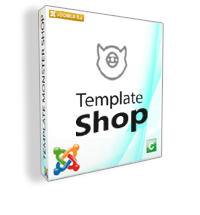 Install Template Monster Shop to your Joomla website. 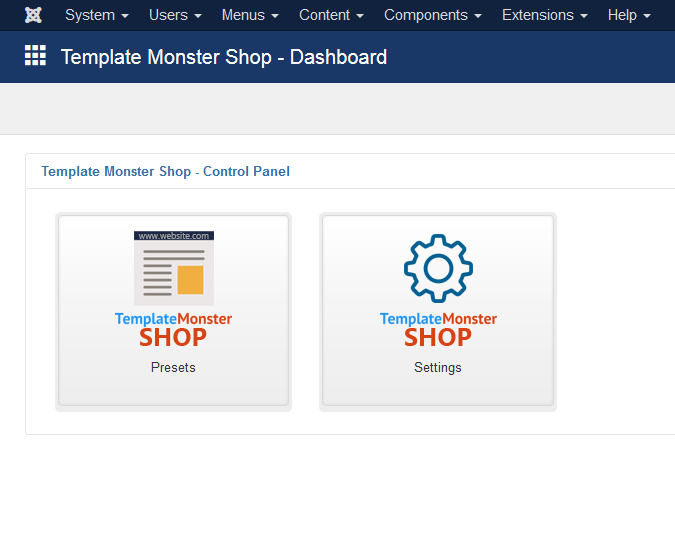 Click on components (main menu), Template Monster Shop - Setting. 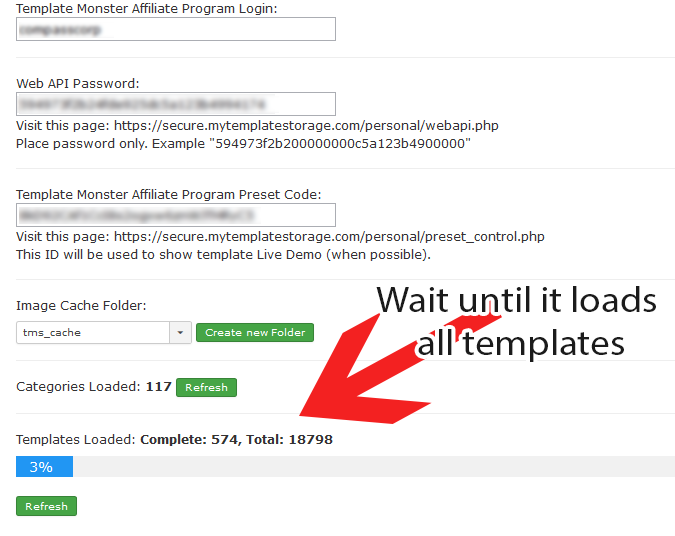 To configure Template Monster Shop you will need your Affiliate Program Account credentials. Such as Login, Web API Password and Preset Code. You will need the code inside a blue box. Create Affiliate Program Preset (You may use default settings). Get Preset Code and enter it to Template Monster Shop settings page. 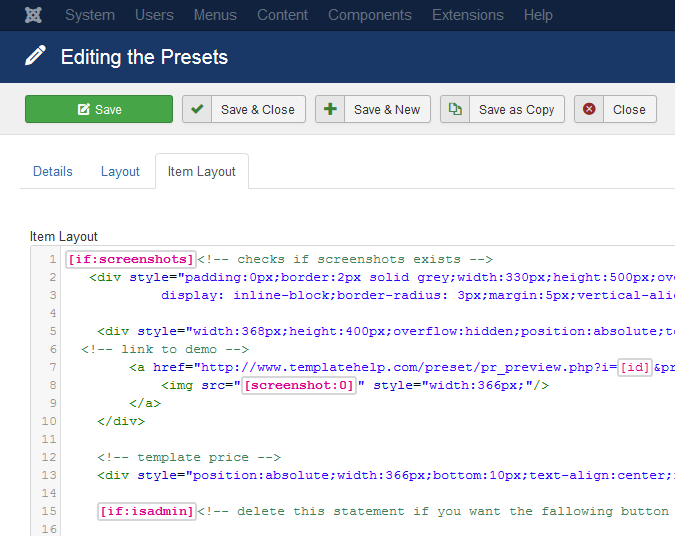 Create Component Preset or edit default preset. Visit the page you just created. 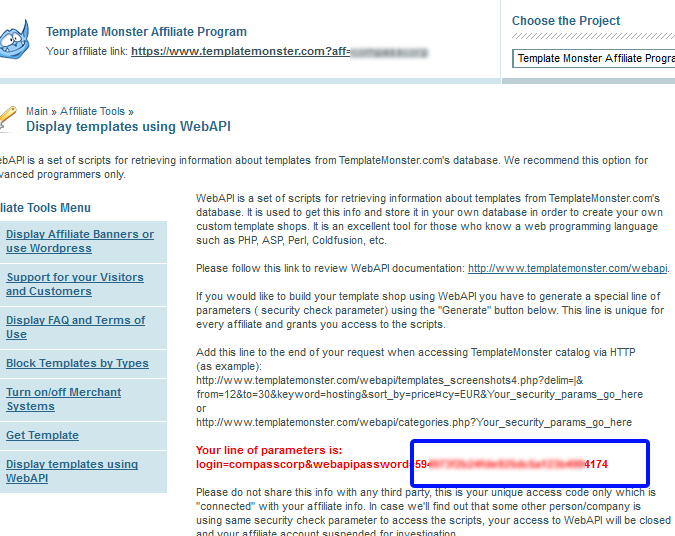 (Template Monster Shop will start to update its database). Go back to Joomla back-end. Components/Template Monster Shop - Settings. It will update database automatically. May take an hour or so. You will have to do it just once, after that it will update/add new templates seamlessly. The ability to edit front-end layout.1-Year of free updates. [Whatsapp] Support. 1.1.5 - AJAX Pagination added. 1.1.2 - Screenshot selector improved. 1.1.1 - Category selector tag added. 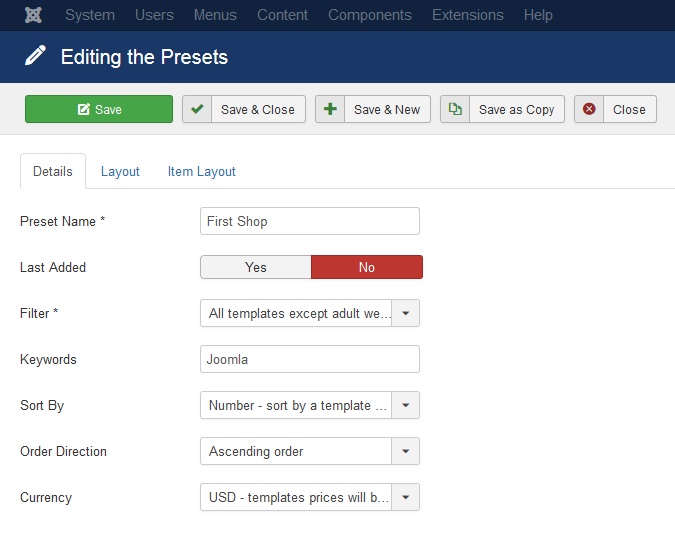 1.1.0 - Default Template Type option added to preset settings. 1.0.8 - Prepares resized images thumbnails to speed visitors load time. 1.0.7 - New tags added. 1.0.6 - First public release.